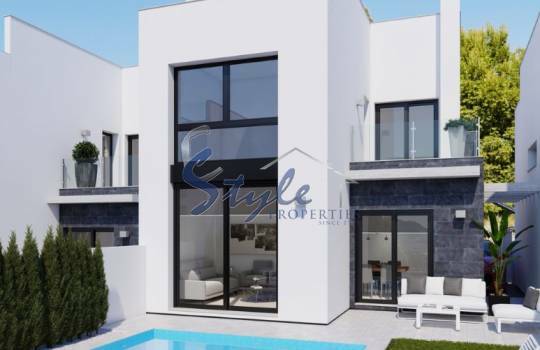 If you want to live relaxed close to the sea and enjoying the sun all year round, we advise you to visit our brand new villas for sale in Villamartin Costa Blanca. Villamartín is a beautiful urbanization located on the Costa Blanca South of Spain. 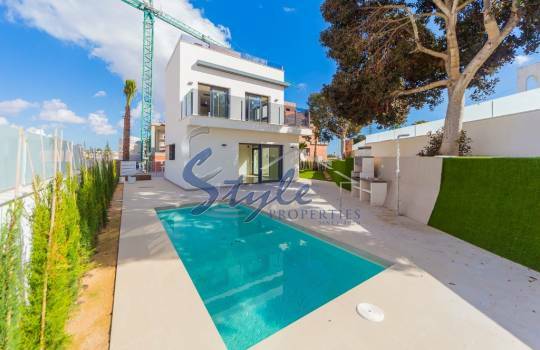 It belongs to Orihuela Costa and is only two kilometers from the sea. In Villamartín you will live relaxed enjoying the wonderful climate of the Costa Blanca. Its sunny and temperate winters, with a practically zero rainfall rate, are ideal for sports and outdoor activities. It is the ideal time to make beautiful hiking trails through the environment and discover the magical corners that the Costa Blanca offers us. You will find beautiful frames that you can photograph and share with your friends on social networks. 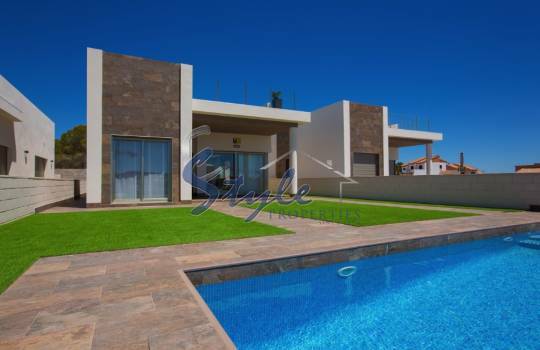 If you are a golf enthusiast, Villamartín is the ideal place to live, since it has a magnificent 18-hole golf course that is what gives the name to the development. The hot summers receive the refreshing breeze of the nearby Mediterranean Sea, getting pleasant temperatures ideal for enjoying the beach and water sports. Many people from other European countries have chosen to move to Villamartín and lead a healthy lifestyle. 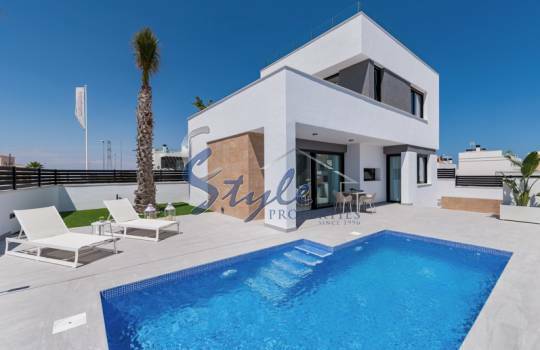 In this unique environment we want to offer you brand new villas for sale in Villamartin Costa Blanca. 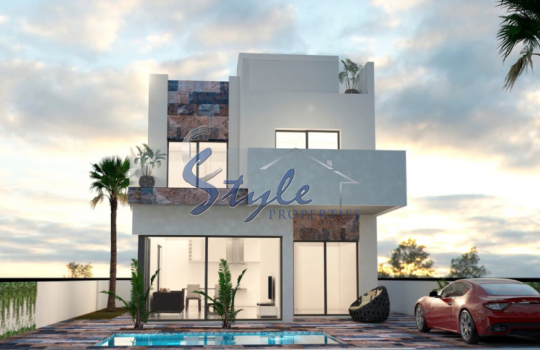 We have different types of modern design villas so you can choose the one that best suits your needs. Each villa is built on a private plot in which there is a beautiful pool surrounded by large solarium areas. This spring is the ideal time to enjoy an exquisite juice of freshly squeezed oranges while sunbathing on your terrace. If you like gardening, here you will have the opportunity to take care of your own garden and enjoy the intense aromas that the flowers give off at sunset. The most daring can cultivate their garden and harvest their vegetables totally ecological and ripened in the sun. In Villamartín you also have all the necessary services to live comfortably, such as supermarkets, pharmacies, doctors' offices, varied shops, shopping centers, restaurants and many leisure and entertainment venues. 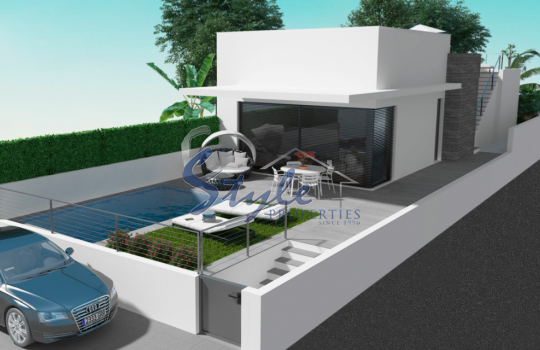 We suggest you visit on our website the brand new villas for sale in Villamartin Costa Blanca. 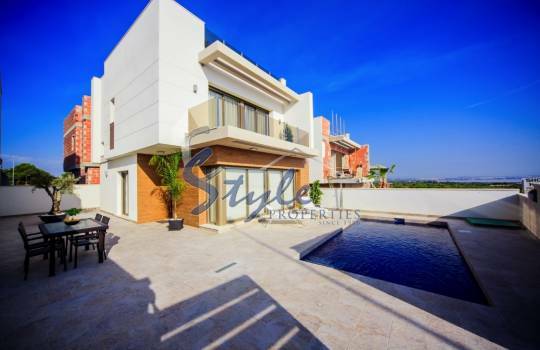 You will be pleasantly surprised with these beautiful buildings where you can spend your vacations or establish yourself when you retire. We will be happy to hear all the questions you want to ask us about it. We have a team of professional agents who will solve your problems and advise you on the different aspects of buying a home in Spain. We will inform you and supervise the procedures as diverse as those related to the application of the NIE or the contracting of a home, housing or health insurance. Fill out the contact form that appears on the web or send us an email to info@estylespain.com. Call us on the phone +34 646 445 566 | + 34 966 799 645.